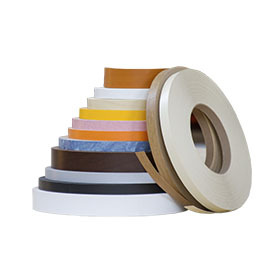 Edging Tape is the ideal way to finish the exposed edge of Veneered MDF & Melamine boards & other furniture panels. It gives a professional appearance that is inexpensive and very easy to apply. Several types are available depending on your project and can be pre-glued, easy to iron on, or un-glued. The Edging Tape can be applied to shelves, worktops and cabinets and is used in kitchens, bedrooms, living areas & offices, by professionals, DIY enthusiasts and crafters.